We had planned to go to Mexico this summer. Due to budgetary limitations, however (some necessary renovations needed to be done in our house as well), we decided to wait a few years and invade Sweden instead. However, our renovation plans eventually ruled out July and August as well, and since we are both working in education, we had to look out for an alternative in spring. 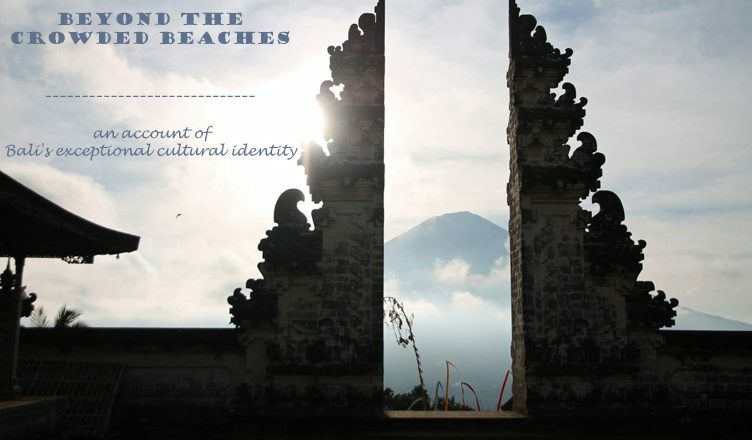 Annick came up with Bali, an exotic destination and popular honeymoon getaway. I was skeptical at first, because I knew the island only from its overcrowded, garbage-littered beaches and drunk tourists. I thought it would be an unpleasant place stuffed with oversized hotels full of noisy poolside animation. But that was very short-sighted of me! After talking to close friends who have been there last year and a few hours of thorough online research, it turned out that beyond the crowded beaches of the south lies a multifaceted, intriguing and pretty relaxed jewel to be discovered. We avoided Kuta, Denpasar and Sanur (except for taking a ferry to Nusa Lembongan) completely and went from Ubud to the north and east. What we found was an island with a green heart, extremely friendly people and a cultural wealth I had never witnessed before. 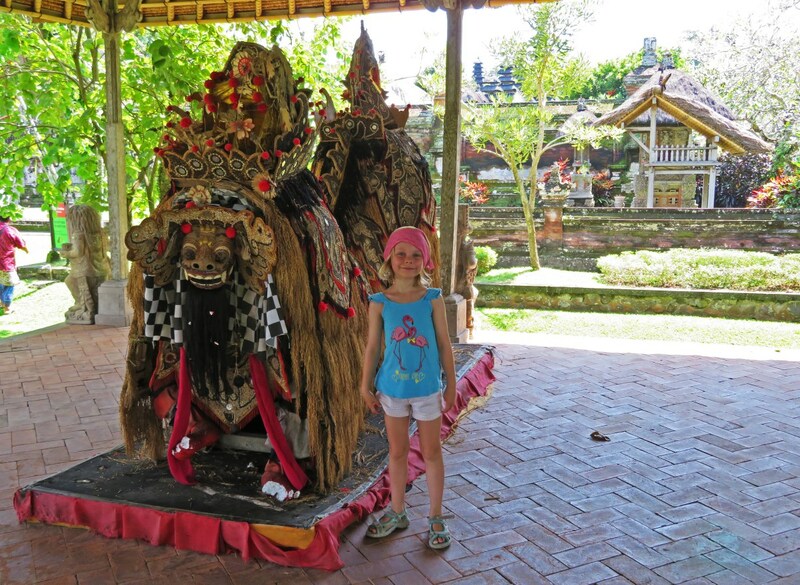 We would really love to share some images with you revealing just how complex and colourful Bali’s culture really is. 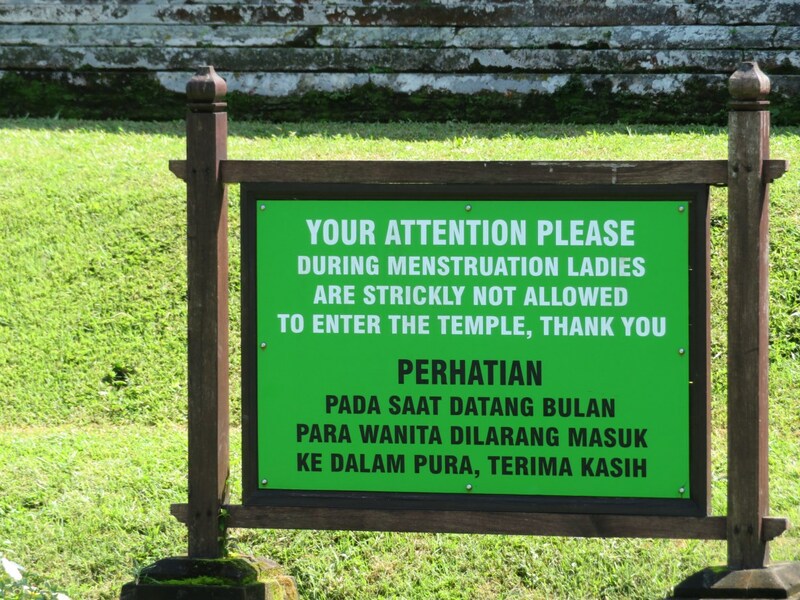 There must be millions of temples on the island. 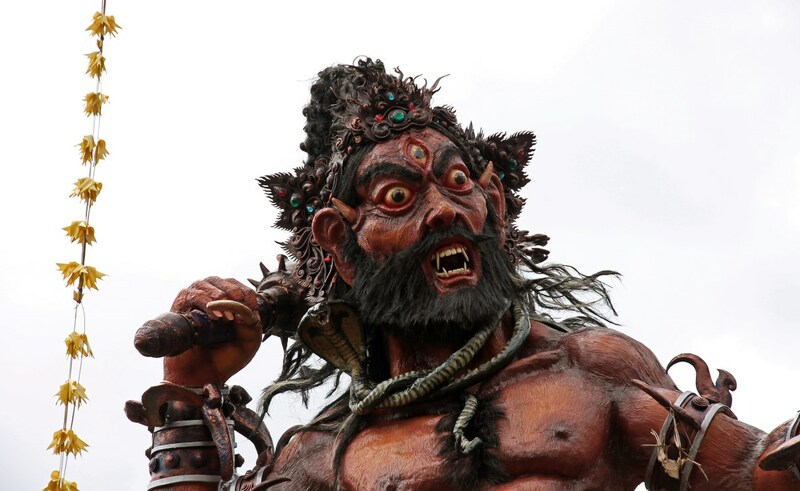 Balinese Hinduism combines ‘classical’ Hinduism with elements of local animism and ancestor worship, which means there is a multitude of deities to be worshipped. Each house has its own shrine or temple, but there are also temples for each neighbourhood, each region etc. 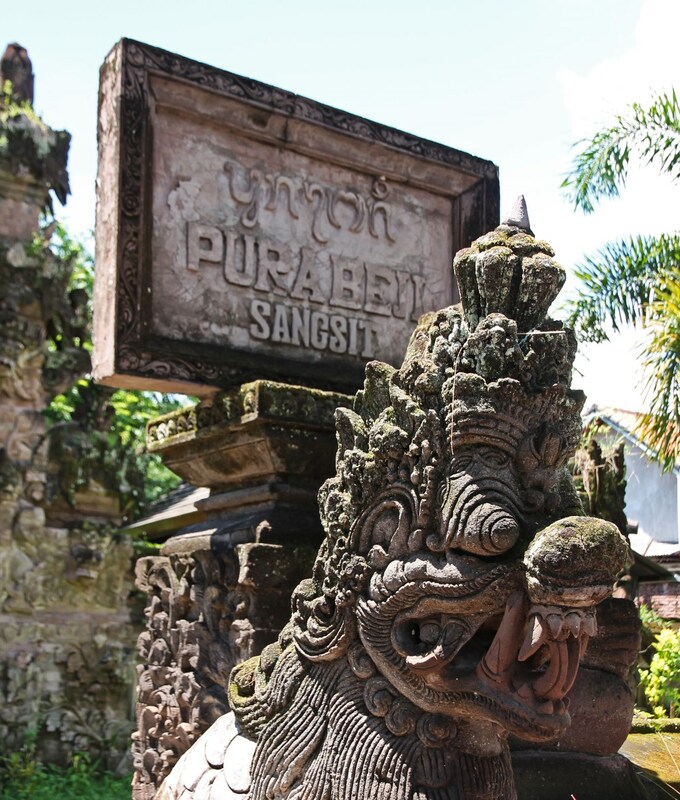 In our post about the cooperative irrigation system for rice paddies in Bali, known as the Subak system, we already mentioned a few important temple complexes. 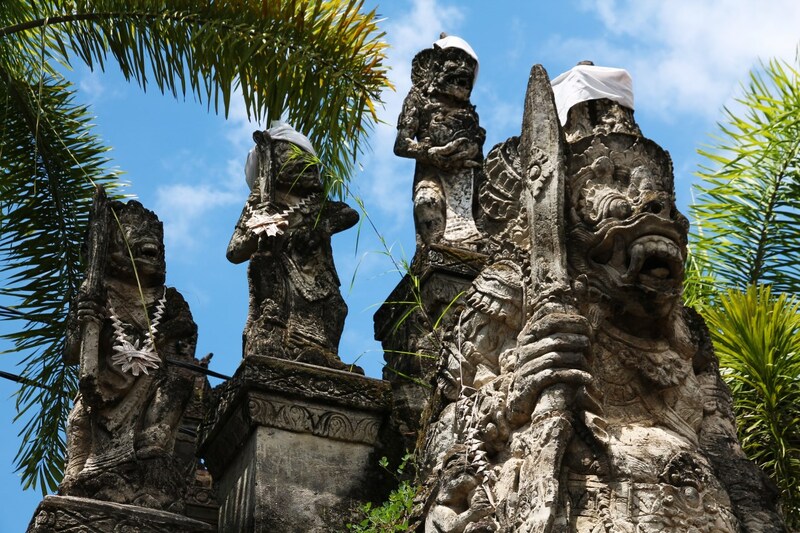 Due to the sheer number of temples on the island it is just impossible to treat them all here, so we would just like to present you with a very personal selection. 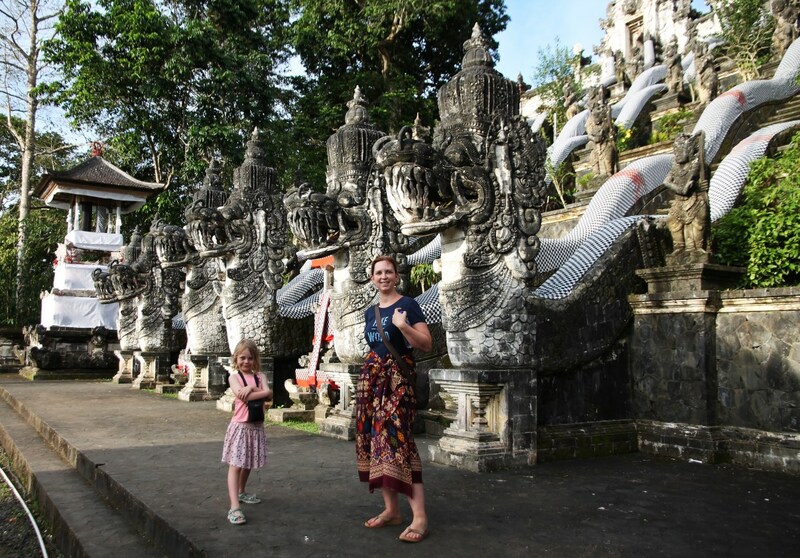 Adults are obliged to wear a sarong (and belt) when entering a temple. 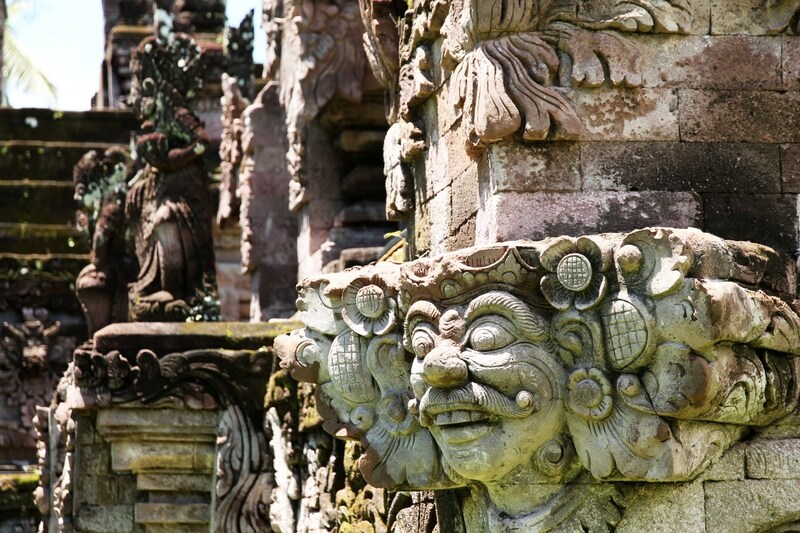 Definitely one of our personal favourites, because of the contrast between the gardens around the structure and its timeworn walls, but also for the numerous details in sculptures and decorations that are to be seen here. The whole temple is covered in delicate carvings. 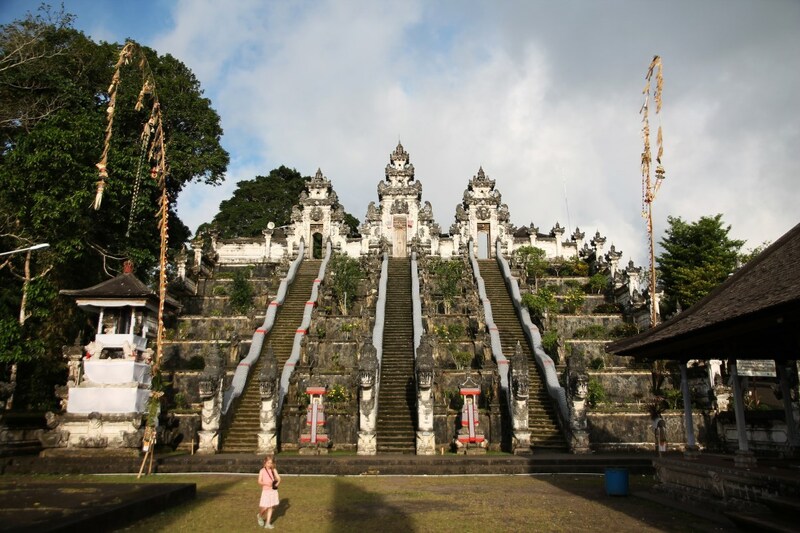 Sangsit is a village in the northeast of the island, and this 15th-century holy water temple is the perfect stop-over on your way between Pemuteran or Lovina in the west, and Amed or Tulamben in the east. 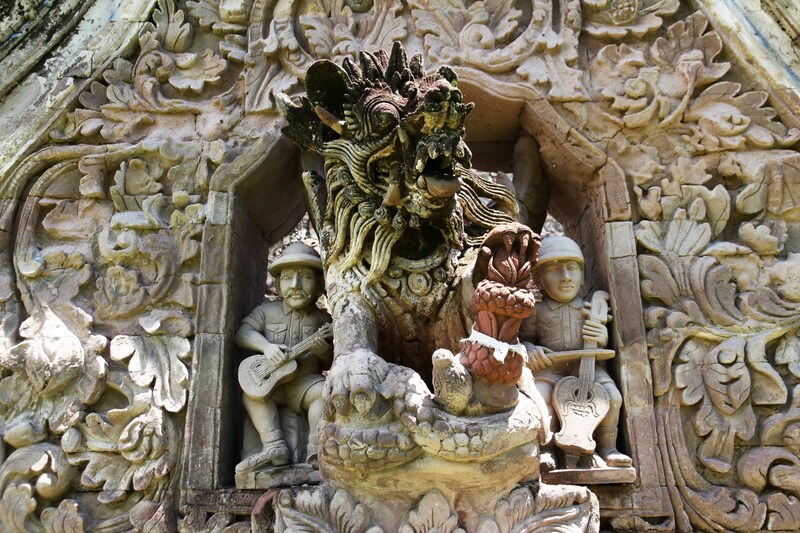 There are so many statues of menacing demons and gruesome guardians alike, such as serpents, dragons and lions, that Pura Beji is very fascinating for children as well. – Entrance fee: 10000 IDR pp. 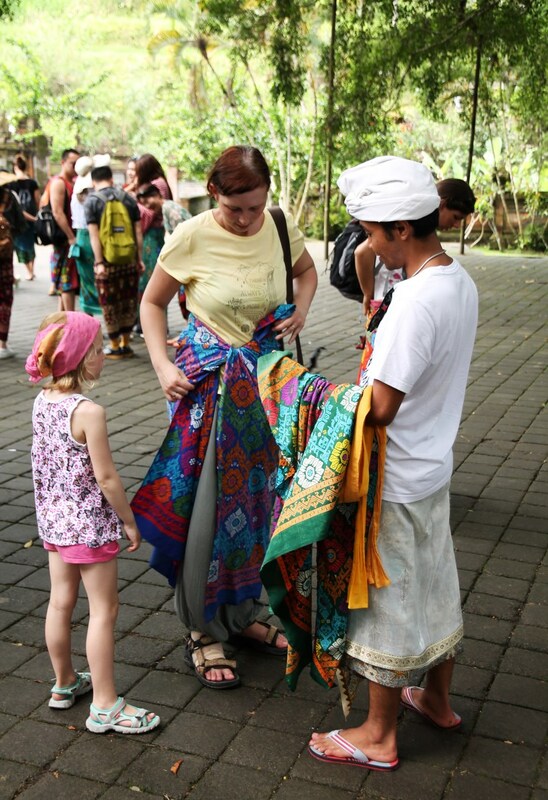 A sarong is obligatory for adults. A guardian deity and two musicians, which were added more recently. 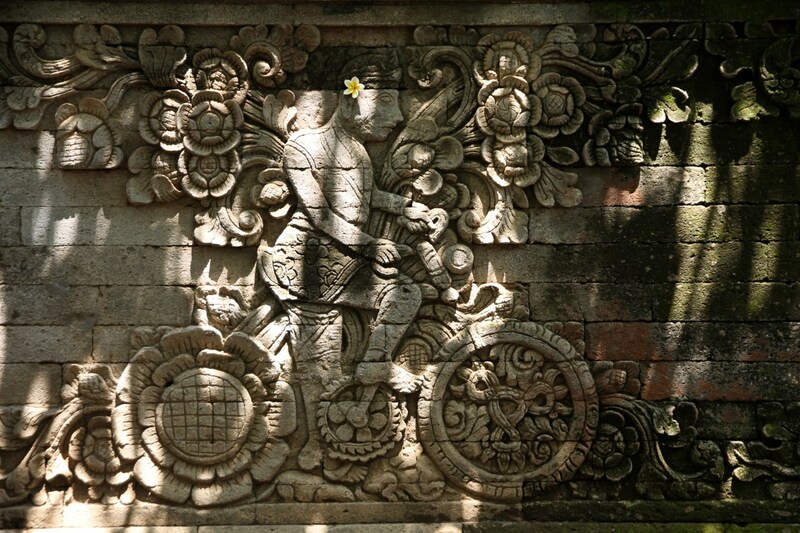 If you decide to go to Pura Beji, drop by this temple as well, even if it is only to search for the extraordinary wall relief of a Dutchman riding a bicycle with floral wheels. 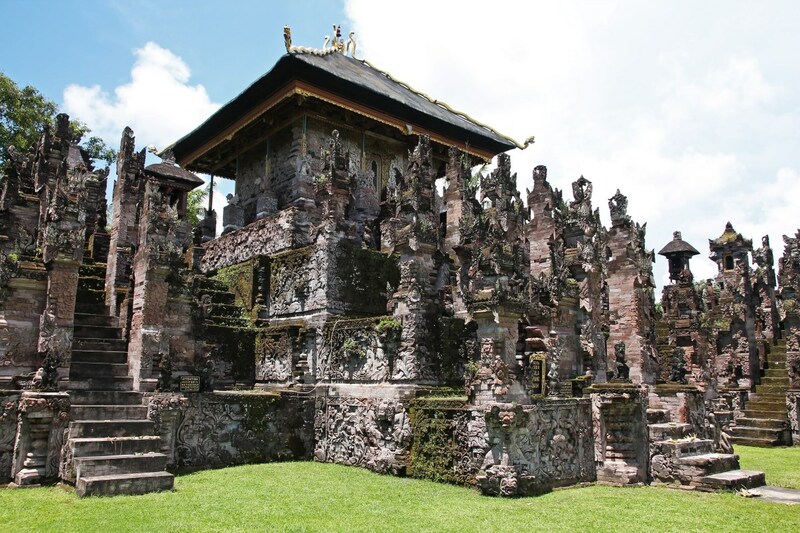 This temple is relatively young still (built around 1890), but worth a visit nevertheless. The English-speaking guide who accompanied us at Maduwe Karang was by far the best guide we had during our 2-week stay in Bali. His explanations about the temple, the sculptures and their religious background were very thorough and passionately brought. – No fixed entrance fee but a voluntary donation is expected. A sarong is obligatory for adults. – Opening hours: 8am – 5pm. 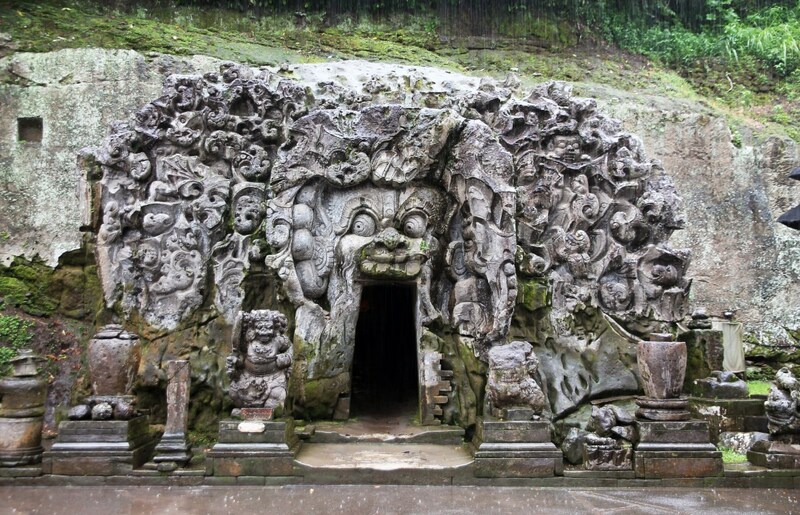 The entrance of the Maduwe Karang temple can easily be recognized by its 36 stone figures. Our guide was very sweet towards Febe as well. A popular spot for a fancy pre-wedding! 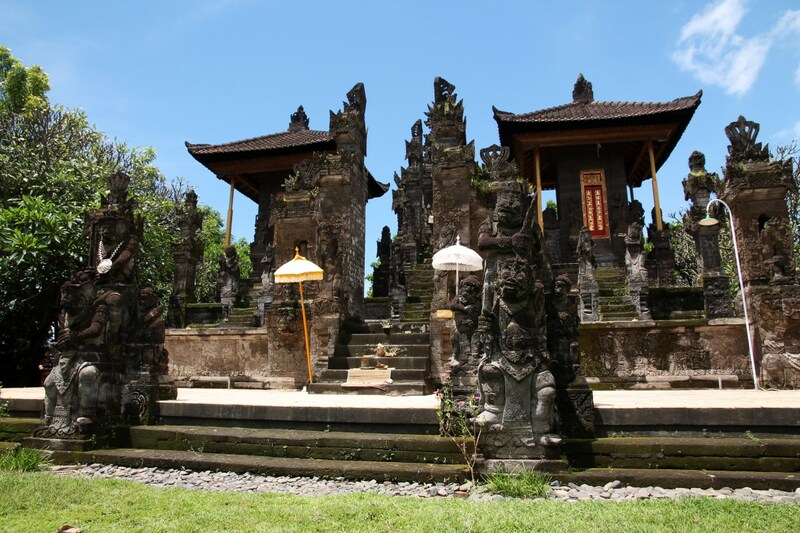 This temple is one of Bali’s nine directional temples and one of Bali’s oldest and most highly regarded places of worship. 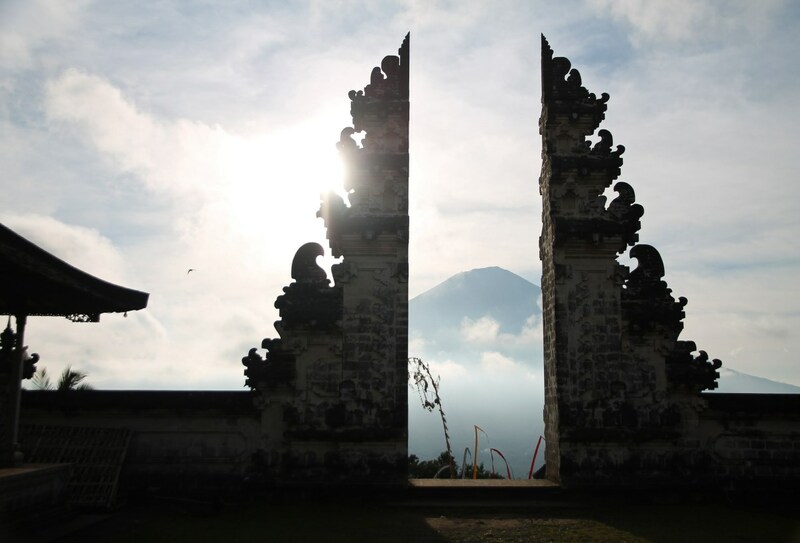 It is located high up on the peak of the namesake Mount Lempuyang, only 1 hour driving from Tulamben and Amed beach. To be honest, we didn’t make it to the summit because the 1700 steps we needed to climb were a bit too much for our then 6-year-old, especially after a day of snorkeling in Tulamben. Reaching the mountain-peak temple is known to be a highlight for every well-trained hiker and will be rewarded with superb views. 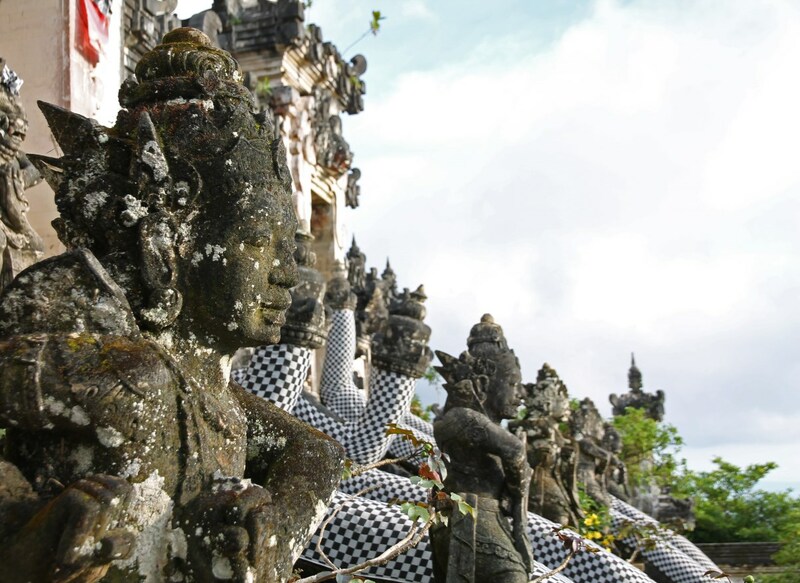 Along the way, there are many temples to be explored. 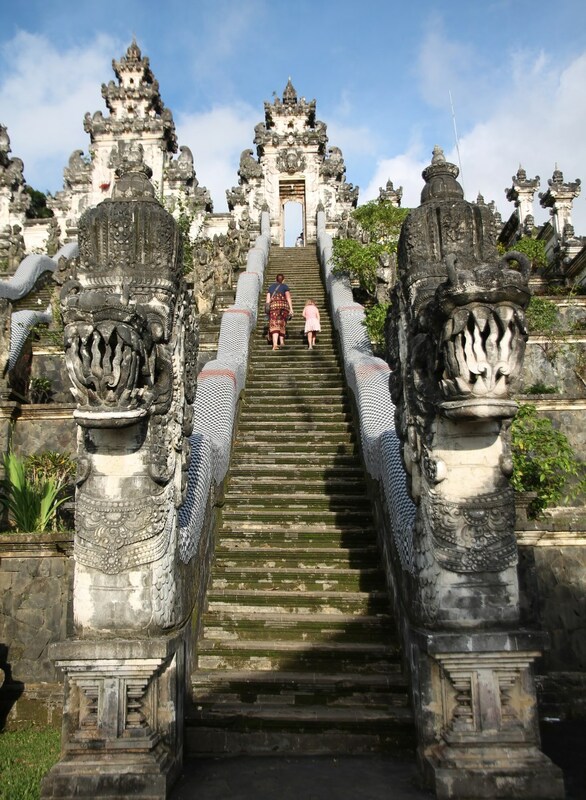 We didn’t go farther than the first one on the pilgrimage route, the Pura Penataran Agung temple. 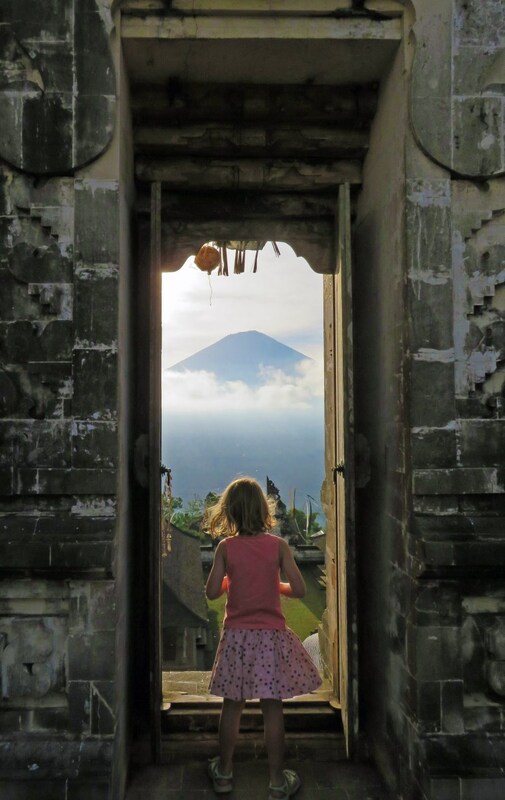 Even though we’re pretty sure the ascent must be quite a satisfying adventure, this lower temple with its towering dragon staircases is already pretty impressive, ànd it also offers great views of Mount Agung, Bali’s highest peak. – 20000 IDR pp. A sarong is obligatory for adults. 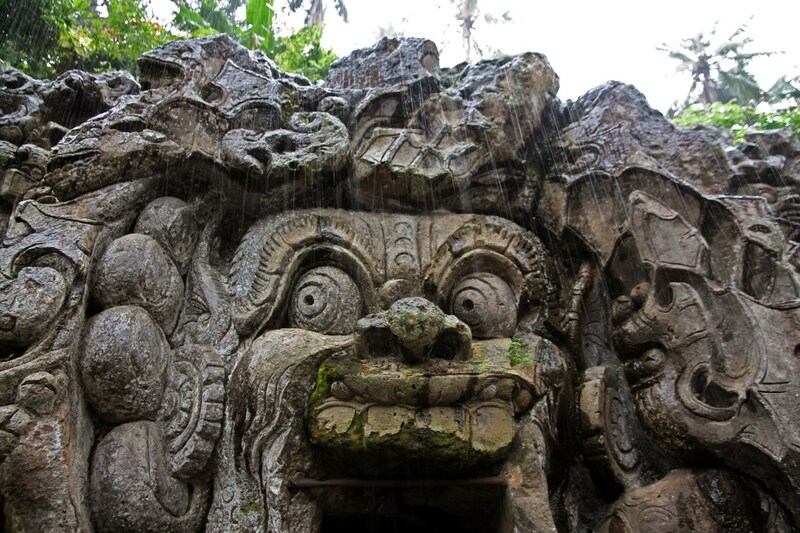 Fifteen minutes driving is all you need to reach this small temple from Ubud. 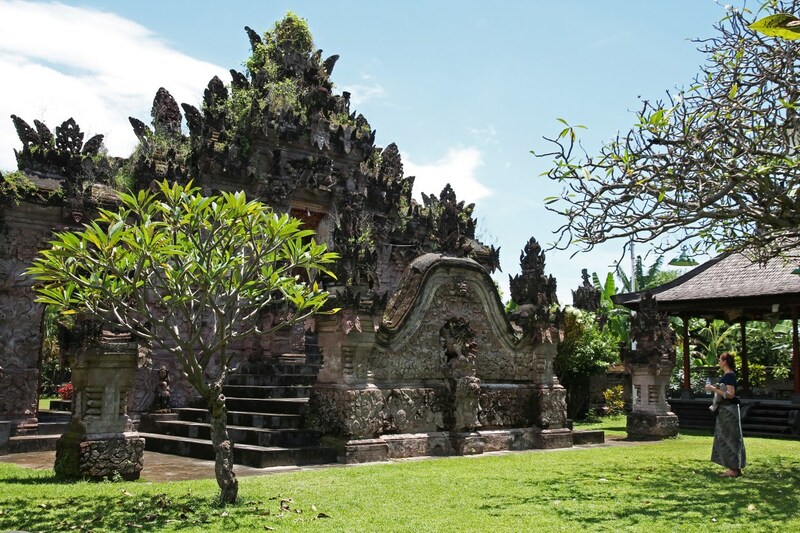 Dating back to the 11th century (some elements are even older), this is one of the oldest temples of the island. The main point of interest here is the ‘Elephant Cave’, a shallow cave which you can enter through the open mouth of a giant monstrous face. 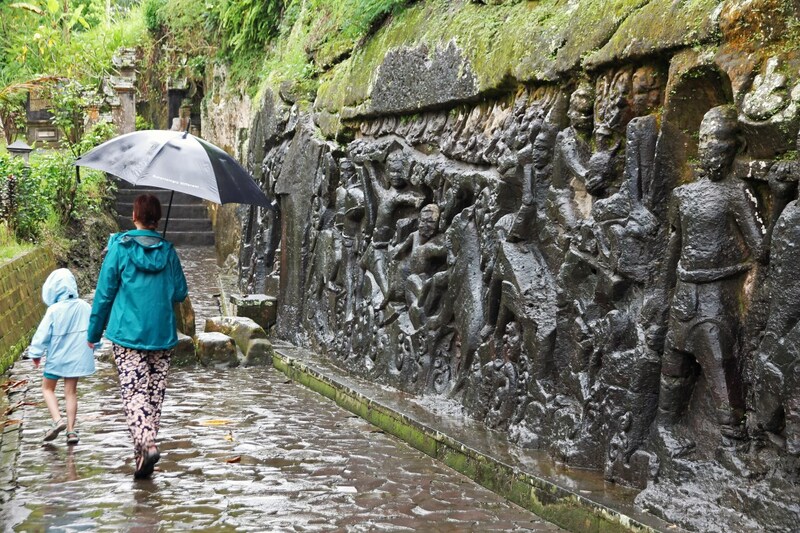 Opposite the cave’s entrance, a small pool is lined with five statues depicting Hindu angels holding vases that act as waterspouts. – 15000 IDR pp (7500 IDR for children). A sarong is obligatory for adults. – Opening hours: 8am – 6pm. 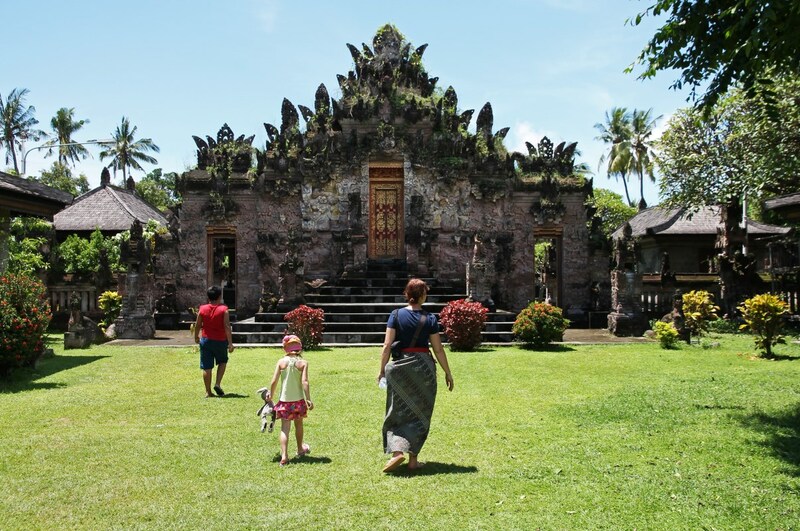 Although very crowded when we were there (but it was on the day of the Kuningan festival, so there were mainly local people), this scenic sea temple is simply a must-see when you are in Bali. 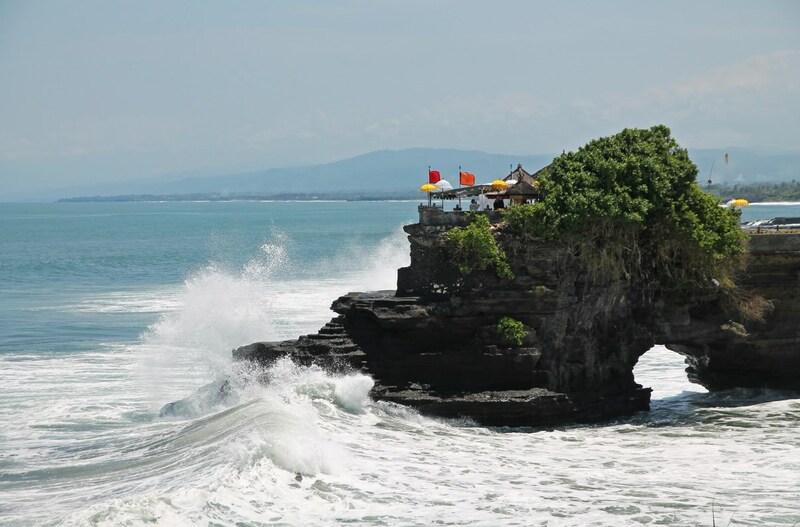 It is one of the most iconic temples of the island because of its offshore setting and if you ask us, it is at its most beautiful during high tide, when it is completely surrounded by the sea and huge waves crash over it. – Opening hours: 7am – 7pm. 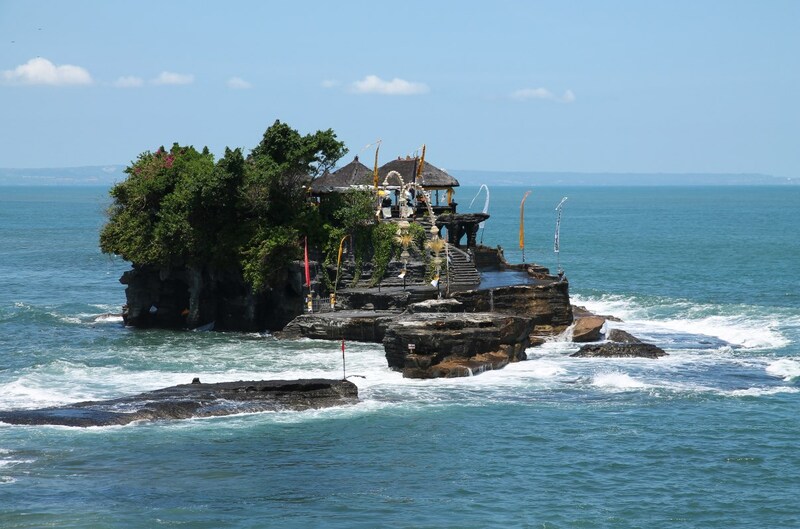 Tanah Lot temple at high tide. Febe with our driver mr. Bagus (contact details: see below)! 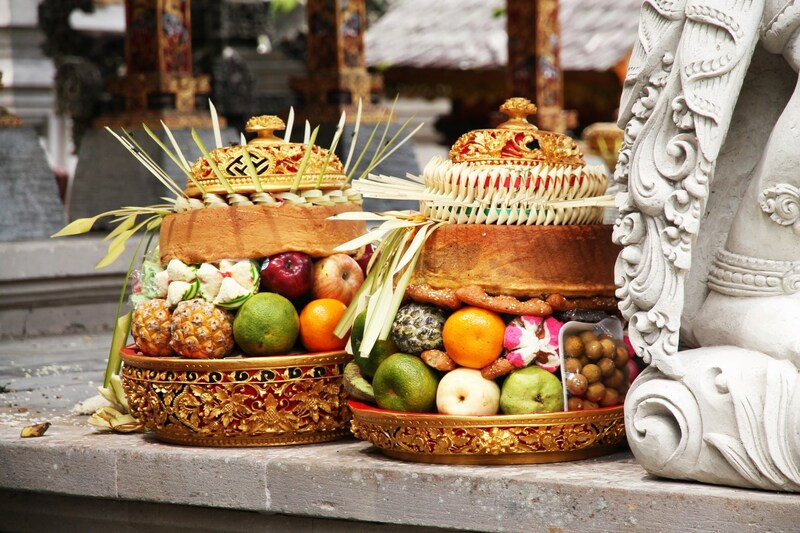 The Balinese honour their gods, spirits and ancestors through offerings of rice, flowers and other gifts, which they meticulously prepare every day. We noticed these people really put a lot of time and effort in their offering-making. The results can range from a tiny pinch of rice on a piece of banana leaf to huge baskets of colourful fruits, which we saw a lot on sites of prayer in larger temples. 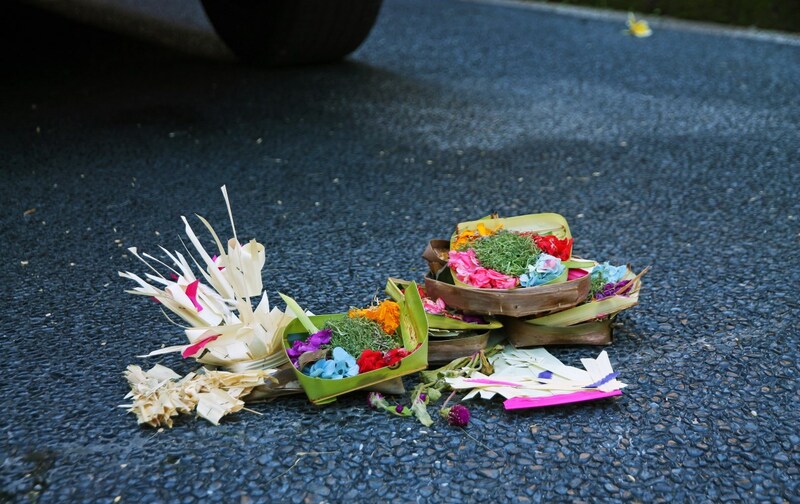 Offerings like these are made every day and can be found in and around each house. Larger offerings are typically brought to temples during festivals. 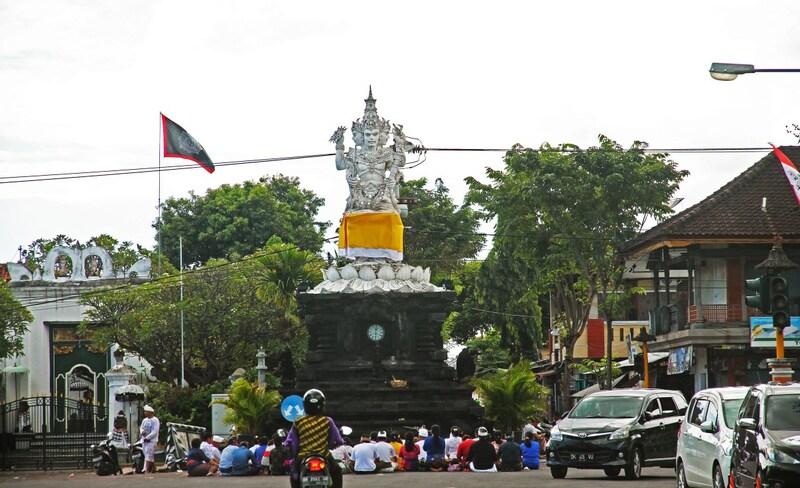 The fact that the Balinese respect and love their deities and traditional heroes is clearly reflected in the grandeur of the statues that dominate the most important roundabouts on the island. And seriously, they are sometimes HUGE! 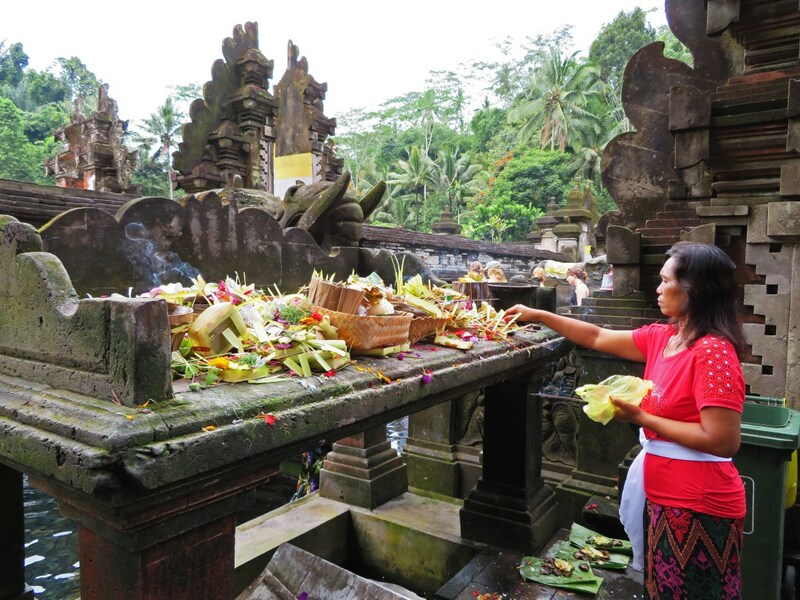 We consider ourselves very fortunate to have been visiting Bali during its two most important festivals: Galungan and Kuningan. 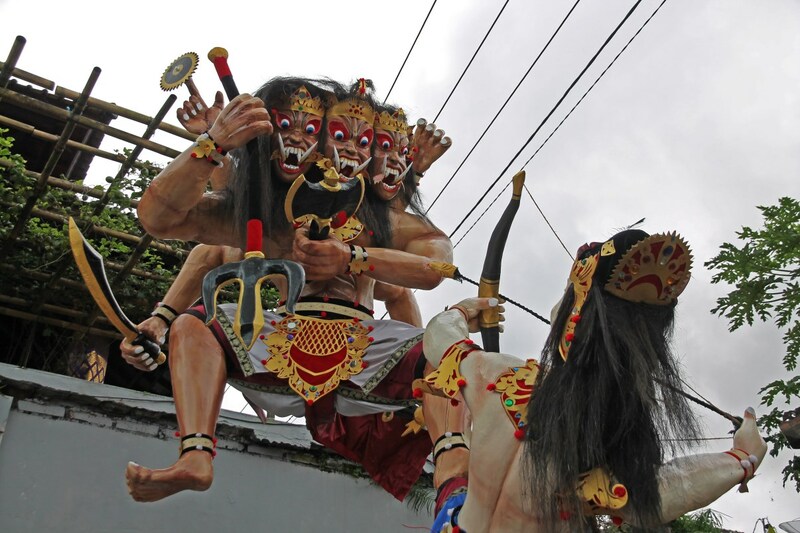 According to traditional beliefs, the spirits of deceased ancestors descend from heaven on Galungan, to return ten days later on Kuningan. It is a period of intensified prayer, celebration and offerings to welcome the spirits. 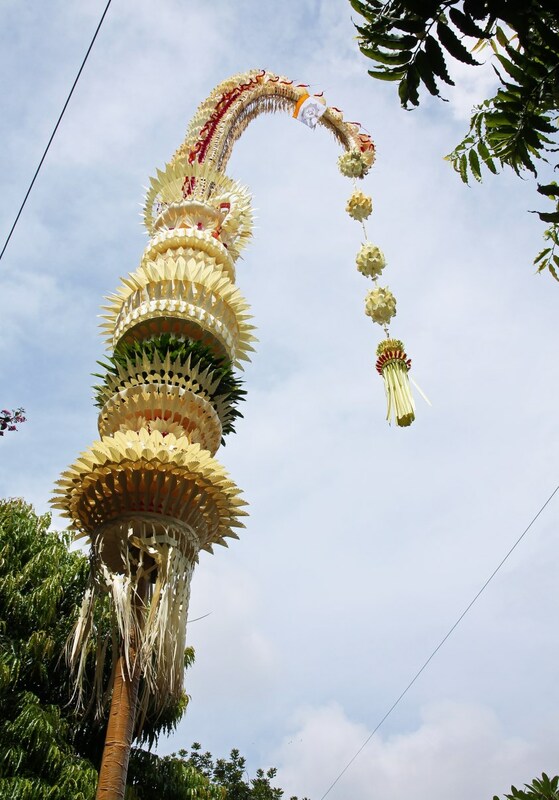 From Galungan onwards, the roadsides are adorned with penjor – bamboo poles with offerings suspended at the end. 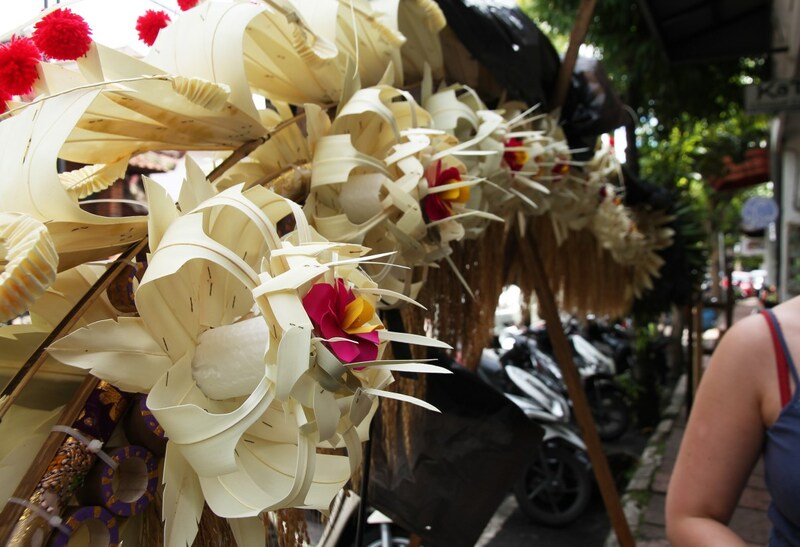 The day before Galungan is especially busy because every household is installing a home-made penjor in front of its house. 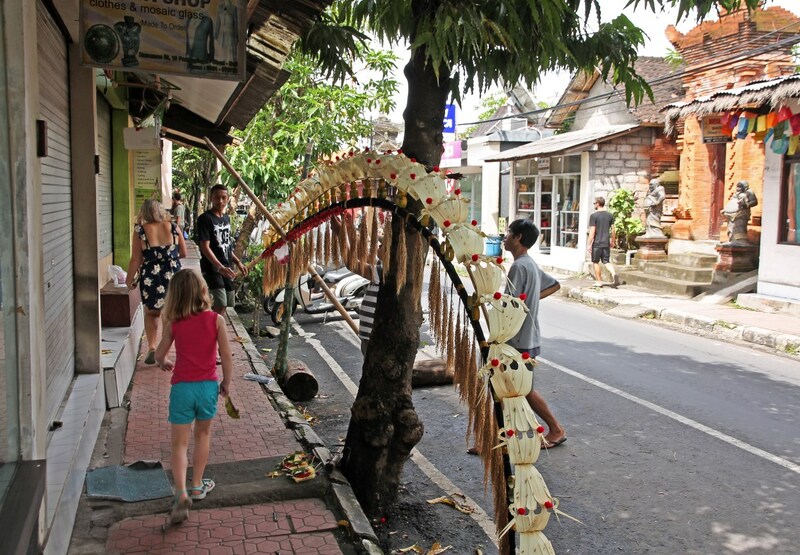 People take great pride in building and decorating their penjor: we asked a few guys down the road and they told us it took them 6 months to complete! 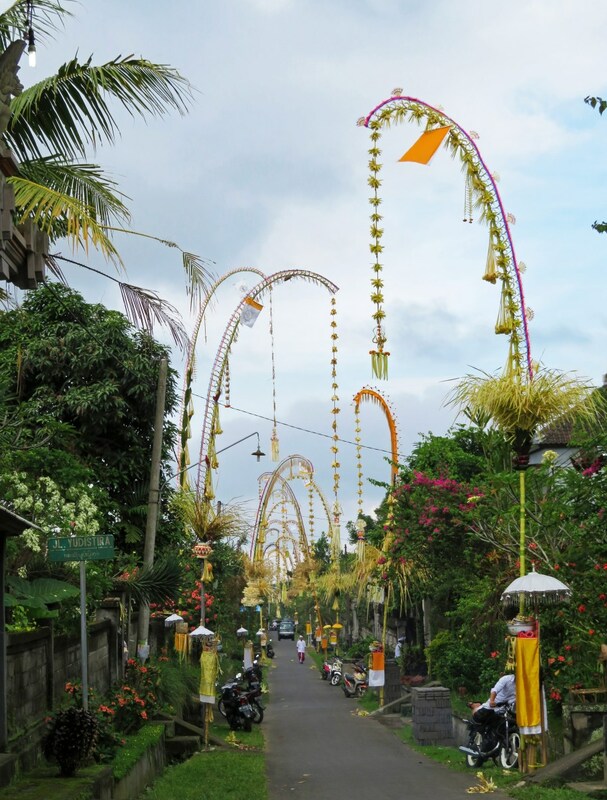 The streets on the festival day of Galungan. 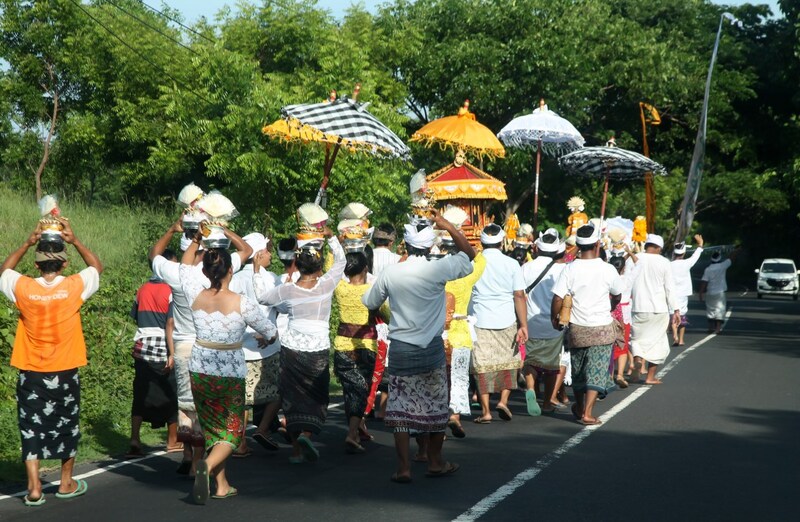 By the way, be prepared: you cannot drive through Bali without being stuck behind a local procession at least once! And since you should never be in a hurry on this island, just enjoy the moment! A Barong is usually used in processions. This guardian lion is the king of all good spirits. It wasn’t possible to visit all these wonderful places and explore this beautiful island without the outstanding driving skills of mr. Bagus, our English speaking driver. We would definitely recommend him: he really took care of us, always ready with a smile, cold water and refreshing towels!